Leading Manufacturer of eccentric side clamp, plate clamp, rigid clamp, thin plate clamp, hinge clamp and compound slide clamp from Pune. We hold expertise in this field, offering to our valuable clients a premium range of Plate Clamp that is used for milling, shaping and drilling in various industries. In supervision of our adroit professionals, the offered clamp is manufactured using top notch quality raw material and ultra-modern technology to ensure the flawless range. In addition to this, our provided clamp is available in various designs and specifications to meet specific needs of our clients. With an aim to stand tall on the expectations of our esteemed clients, we are providing Rigid Clamp that is used in fixture building for fast clamping unclamping. 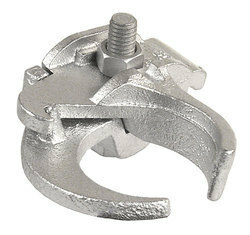 The offered clamp is available in various sizes and specifications to suit our clients' various demands. Apart from this, provided clamp is stringently tested on various parameters by our quality experts assuring its flawlessness before delivering to our clients. 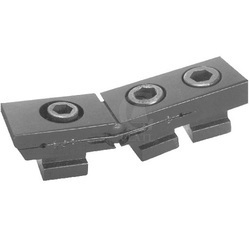 With sincere intentions to preserve and uplift our reputation in the market, we are offering Thin Plate Clamp that is used in fixture building for fast clamping unclamping. 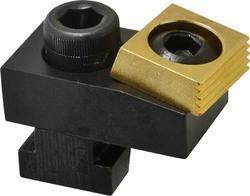 Offered plate clamp is designed from top notch material as per the quality norms under the supervision of experts. Our plate clamp is examined on several quality parameters so as to dispatch a quality range. 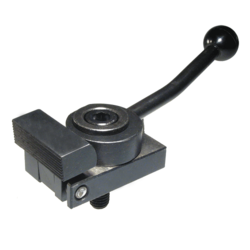 Also, this plate clamp has gained a huge demand in the market for its excellent quality. Our esteemed clients can avail from us a wide array of Hinge Clamp that is ideal to use on shaping, drilling, milling machines surface grinders etc. Our offered clamp is precisely designed using quality tested raw material and cutting-edge technology in line with industry norms. We can provide this clamp in various sizes, designs, and specifications in order to fulfill the varied demands of clients. 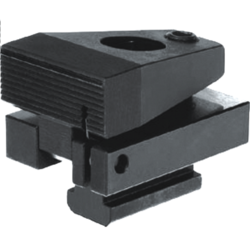 Leveraging on our vast industry experience, we are committed to offering a wide gamut of Compound Slide Clamp that is used where high clamping force is required. The offered clamp is designed using quality tested raw material and innovative technology in adherence to industry norms. In order to cater the varied requirements of the clients, this clamp is offered in various specifications and customized options.